Even with today’s modern technology and for the most part virtually painless dental procedures, many individuals dread the thought of having to go to their Ft. Lauderdale dentist. As a result they may leave a cavity to the point where it becomes painful. Or they may not even realize that they are having a tooth problem until they suddenly develop pain or feel discomfort when they eat something hot or cold. When the nerves are being affected by a dental problem it means the pulp within the tooth is being affected and it requires immediate attention. Pressure may build up which can cause severe discomfort, and infection can set in compounding the problem. The optimal choice of treatment may be a root canal. Here at JJ Dental we treat dental problems such as this quickly. We realize the great degree of discomfort that is being experienced, and we want to relieve this immediately, plus prevent any further nerve damage. As your Ft. Lauderdale dentists we may suggest that there is a need for a root canal, however this doesn’t mean that you are going to be subjected to even greater pain. Many people have a real fear of root canals because they may have heard stories from others about how painful this type of treatment is. 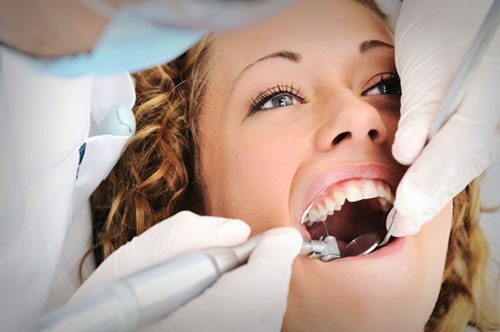 Here at JJ Dental your comfort during any dental procedure we perform is of the utmost importance. With our skills, expertise and modern equipment you can rely on this. During the root canal procedure we will clean out the affected pulp by creating a canal for drainage. We will most likely recommend a course of treatment such as antibiotics to ward off any further infection. Each patient is unique and the root canal treatment will be performed according to what the circumstances at the time demand. Root canals performed by us here as your Ft. Lauderdale dentists should be looked at with a positive viewpoint. It is one of the best methods we can utilize to save a natural tooth, whereas in the past without this type of procedure being available it most often meant the affected tooth had to be extracted. Give us a call here today at JJ Dental at 954-463-7262, and let us decide whether a root canal is the solution for your immediate dental problem, and fully explain this amazing dental service as it relates to your specific need.